Kick trailer released: Trailer shows it's not a superhero saga but Salman Khan as a Devil. Kick Trailer: The first official trailer of bollywood superstar Salman Khan's much awaited film 'Kick' has released or say 'Kicked-in'. While the first poster was released we thought it's may be a salman khan upcoming superhero saga, but the trailer shows that it's not a superhero film but salman khan as a Devil. Trailer starts with Randeep Hooda taking the name of the person, 'Devil', who has maligned his image in the law machinery. 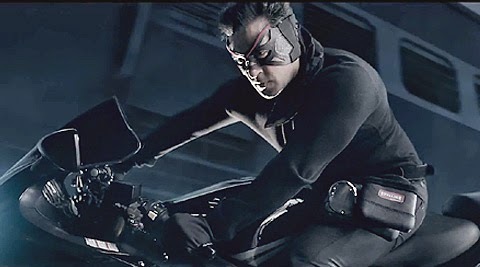 After that trailer introduces Salman Khan with some high end action sequences with his mask. running away on Bike & Bicycle. but from nowhere it's actually looks like or trailer shows any wrong things salman khan did as a Devil. In the next few seconds, salman khan seen as a Lovely heart romancing with Jacqueline Fernandez, and the person who love having 'Kick' in life. The last bit again shows Salman Khan as Devil with the lot of actions. The film also shows Nawazuddin Siddiqui in a movie as a negative role delivering dialogue,'..zara hum bhi toh dekhe humse bada shaitan kon paida ho gaya'. Do not forget to Like, Comment & Share below, Also tell as how much are you excited about this movie.